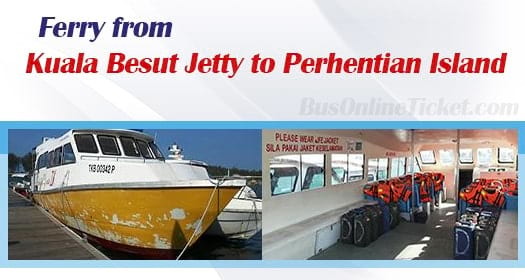 The trip duration for the ferry from Kuala Besut to Perhentian Island can take around 30-45 minutes by speedboat, depending on the weather and tidal condition. The ferry departs every one hour starting from 8:00am until 5:00pm daily. The ticket price for ferry from Kuala Besut Jetty to Perhentian Island is RM 35.00 per way.